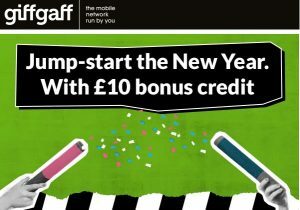 Start the New Year of with a bonus gift from giffgaff. Activate your sim card between 03/01/19 – 31/01/19. and the £10 Bonus Credit is already on your card. Once activated you then have security 24/7 on your asset. With each tracker comes the option of selecting (free with £10 credit) a giffgaff sim card which is a Pay as you go sim card, no contract with typical running costs around Eleven pence per day which gives you complete peace of mind knowing anytime of the day you know exactly where your asset is. Don’t put this off any longer as thieves are indiscriminate and the last thing you want is to open up your secure garage only to discover your motorbike or classic car has been stolen. It’s the same for anything of personal value, boats, trailers etc. Having a GPS Tracker can play a significant role in recovery, plus the crucial early alarm alert to your phone. Any questions regarding a specific application, then please contact me for free advice.